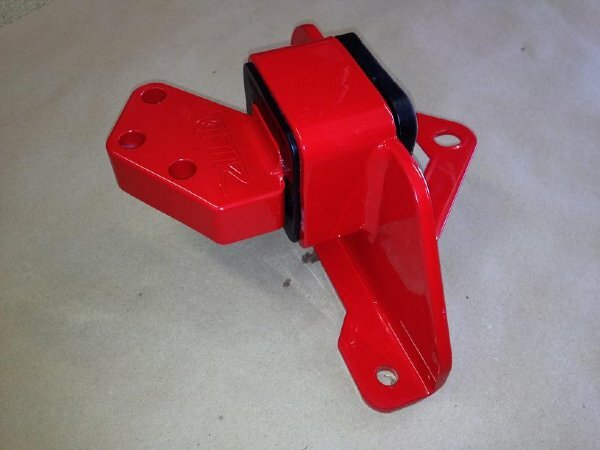 Turbosocks: dealer for TurboTechRacing Engine mounts!! 200$ FREE SHIPPING per mount! Thread: Turbosocks: dealer for TurboTechRacing Engine mounts!! 200$ FREE SHIPPING per mount! Turbosocks is proud to announce that we were approached by Turbo Tech Racing to be a dealer for their beautifully crafted motor mounts. You wont find them any cheaper than with Turbosocks with FREE SHIPPING! Turbo Tech Racing's Upper Engine Mount for the Hyundai Veloster Turbo. The Upper Engine Mount eliminates movement that your factory mounts have, maximizing torque and the transfer of energy to the driveline. In addition it reduces wheel hop! Base is created from precision laser cut 1/4" Steel. Unique square bushing design, only one in its class to help prevent movement; unlike other brands which use a round bushing design. Your choice of 2 bushings colors: Red or Black. They will be added to our site very soon! Now taking Bill Me Later and Credit Card Payments!! Big FMIC kit, Beast Mode SRI, Rigid Collars, Diode Dynamics Dealer, Strut Bars, Coilovers, Uniq bracing kit, Oil Cooler kit, Mesh fog surrounds, Functional hood vents, Tow hooks, Resonator Deletes, etc!!! Your one stop Veloster Turbo source for performance, suspension, lighting and great customer service! VT/AT 13' Ultra Black Ultimate: INJEN, ExLED, Diode Dynamics, JunBL GT, SOLO, JCS Pods, Prosport, Billet Tech, Rally Armor, Turbosocks, 845 MS, Pierce MS, Tork MS, Titan MS, Nstyle MS, Tippett Auto Designs. there will be some extra vibration from these, especially until they break in. However, power delivery will come on smoother and wheel hop will be a thing of the past for the most part. There will be no clearance issues with the bracing from these mounts. If you want less vibration, I would only purchase one of the two mounts (preferably the upper) and use a lower grade bushing in the stock lower mount. 200$ might seem steep, however, they ship free as well as being 100% custom CNC'd, not to mention a beautiful finish! 200$ sounds good to me! I am going to be purchasing the upper mount soon so I can give an in depth review on these as far as how they help launching, power delivery and the effects of the vibration! From what -X- has said, they really help the suspension feel and power delivery. Worth a look. I'm interested in some more feedback. I installed ARC performance springs, lowering the front by 1.5" helped reduce wheel hop, but not enough. Also, taking traction control off helps too. These are also on Black Friday special right now! If you are looking for a great upgrade over stock but not wanting all the vibration of both mounts, we recommend getting the lower mount only! 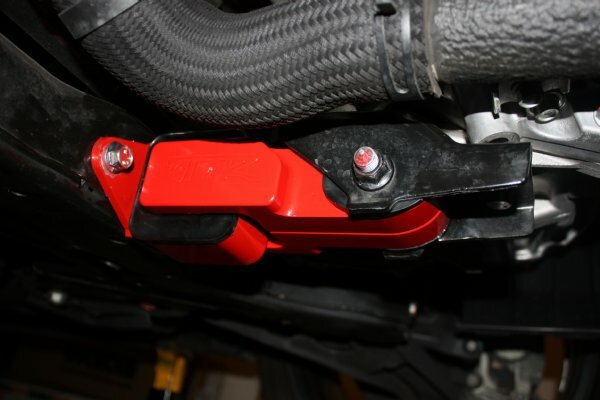 The lower mount is a huge upgrade over the stock mount and a significant upgrade over the regular engine mount bushing modification without adding too much vibration! Get 'em while they are on sale!! !